Home Travel and History What Is Greek Fire, Who Started It and How Was It made? The Greek fire may sound like fires peculiar to Greece but the name has a very different and equally deadly meaning. 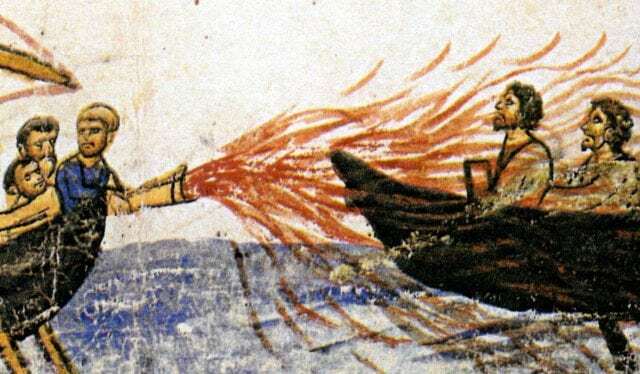 The Greek fire was actually a weapon that was used by the Byzantine Empire. It was developed for the first time inc. 672 and the formula and process used in its creation remains one of the best-kept secrets of all time. Greek fire has intrigued people so much through the ages that it appears in video games like Assassin’s Creed and in literature like the Harry Potter franchise. Guessing on the makeup of the Greek fire has become a favorite past time of people who have heard of it and if you do not know its history you should find out more below. What is Greek Fire and Who Started it? The Byzantines were a Greek-speaking part of the Eastern wing of the Roman Empire getting their name from where they were founded in Byzantium. The Empire was pretty successful and managed to survive a thousand years after the fall of the Western Roman Empire. They employed their Greek fire most in Naval battles as it had properties that would allow it to burn while floating on water. the Greek fire was no doubt responsible for a lot of Byzantine military victories as it provided a technological advantage that a bulk of their enemies did not have. It has especially been credited with securing the survival of the Empire when it was used to save Constantinople from two Arab sieges. The originators of the Greek fire did not initially call it that even though the name has taken its place in most languages since the Crusades. The Byzantine sources called their incendiary weapon anything from sea fire, war fire, liquid fire, manufactured fire to Roman fire. The term Greek fire which eventually took over and came to be used as an umbrella term for all types of incendiary weapons. This happened because of the impression that it had on western European Crusaders. Other people who started making their own version of the Greek fire include the Mongols, the Arabs and the Chinese. The original Greek fire remains one of the world’s best-kept war secrets. No one in those times could figure out the formula used by the Byzantines so going forward, other Empires tried to imitate and use their own mixtures and formulas. Although no one has reached a conclusion on the immense debate and speculation on the makings of the incendiary weapon, a few proposals have been made. For one, it is considered to be made of a mixture of substances like naphtha, calcium phosphide, pine resin, quicklime, nitr, and sulphur. Titus Livy’s history of Rome priestesses of Bacchus has a part where the fire is dipped in water and does not go out because it is “sulphur mixed with lime”. For the contraption used to dispense the fire, it is speculated that the Byzantines made use of pressurized nozzles or siphōns that projected the liquid in the direction that they pointed it. The contraption is said to resemble a modern-day flamethrower in function. Quite a number of armies actually got a bit of the liquid that was the Greek fire along with the contraption used to fire it but still could not copy them exactly. It is their own findings that historians and scientists have continued to speculate about. 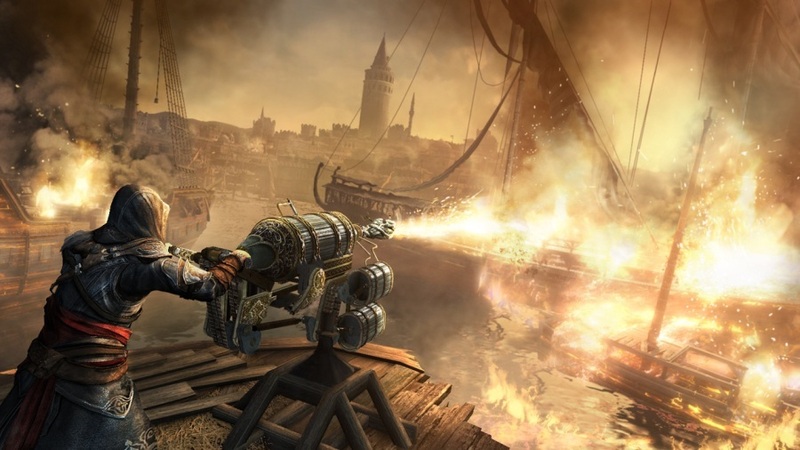 The Greek fire has been said to inspire some more modern weapons like the flamethrower and the napalm. The uniqueness of this particular incendiary weapon comes from the fact that it can burn on water and stick to surfaces with the only things capable of extinguishing it being vinegar, sand and old urine. In fact, it is possible that it is actually ignited using water. Fortunately or unfortunately depending on how you look at it the Greek fire’s formula died with the Byzantine empire. The Byzantines also extended their use of the Greek fire to inclusion in hand grenades. These grenades were filled up with Greek fire and then sealed. They were thrown at the enemy and exploded into a ball of fire that eliminated them. Modern grenades descended from these Byzantine contraptions, but now they use explosives rather than Greek fire.